Maude G. (2005). The comparative ecology of the brown hyaena (Hyaena brunnea) in Makgadikgadi National Park and a neighbouring community cattle area in Botswana. M.Sc. thesis, University of Pretoria, Pretoria. Maude G & Mills GL. (2005). The comparative feeding ecology of the brown hyaena in a cattle area and a national park in Botswana. 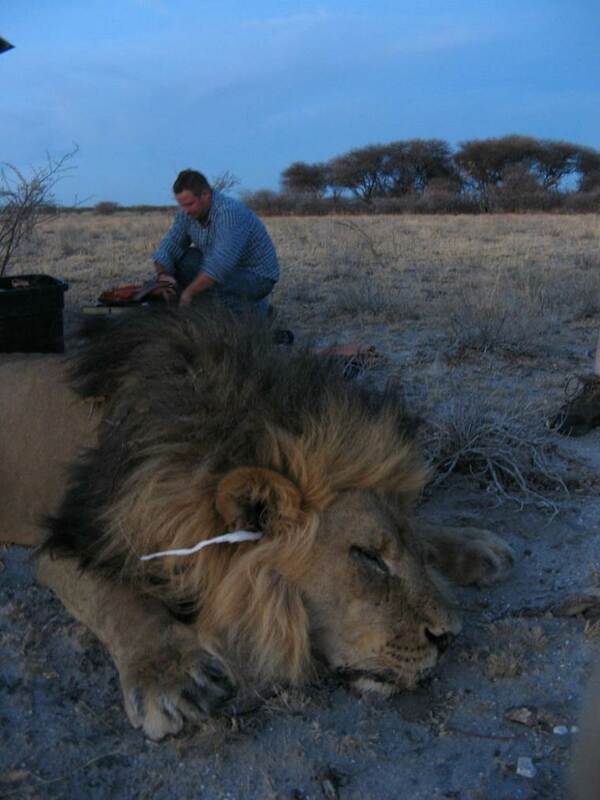 South African Journal of Wildlife Research, 35: 2: 200-214. Lacruz R & Maude G. (2005). Bone accumulations at brown hyaena (Parahyaena brunnea) den sites in the Makgadikgadi Pans, northern Botswana: taphonomic, behavioural and palaeoecological implications. Journal of Taphonomy 3: 43–54. Hancock P & Maude G. (2006). Key areas for wattled Cranes (Grus carunculatus) in Botswana during summer. Babbler 47. Malherbe GP, Maude G & Bastos ADS. (2008). Genetic clues from olfactory cues: brown hyaena scent marks provide a non-invasive source of DNA for genetic profiling. Conservation genetics. Maude G. (2010). The spatial ecology and foraging behaviour of the brown hyaena (Hyaena brunnea). PhD thesis, University of Bristol, Bristol. Reading R, Maude G, Hancock P, Kenny D, & Garbett R. (2014). Comparison of Different Types of Patagial Tags for Use on Vultures. Vulture News - The journal of the IUCN Vulture Specialist Group Hawk Conservancy Trust Andover. Kenny D, Reading R, Maude G, Hancock P & Garbett. B. (2015). Blood lead levels in White-Backed Vultures (Gyps africanus) from Botswana, Africa. Vulture News, 68. Fraser-Celin V, Hovorka A, Hovorka M, Maude G. (2016). Farmer-african wild dog (lycaon pictus) relations in the eastern kalahari region of Botswana. Koedoe. Winterbach C, Maude G, Neo-Mahupeleng G, Klein R, Boast L, Rich N & Somers M. (2016). Conservation implications of Brown Hyaena (Parahyaena brunnea) population densities and distribution across landscapes in Botswana. Koedoe. Selebatso M, Fynn R, Maude G. (2017). Adaptive activity patterns of a blue wildebeest population to environmental variability in fragmented, sem-arid kalahari, Botswana. Journal of Arid Environments. Selebatso M, Bennitt E, Maude G & Finn R. (2017). Water provision alters wildebeest adaptive habitat selection and resilience in the Central Kalahari. African Journal of Ecology, 56(5). Reading P. R, Tshimologo B & Maude G. (2017) Coprophagy of African Wild Dog faeces by Hooded Vultures in Botswana. Vulture News, 72. Selebatso M, Maude G & Finn R. (2018). Assessment of quality of water provided for wildlife in the Central Kalahari Game Reserve, Botswana. Physics and Chemistry of The Earth,105. Garbett R, Maude G, Hancock P, Kenny D, Reading R & Amar A. (2018) Association between hunting and elevated blood lead levels in the critically endangered African white-backed vulture Gyps africanus. Science of The Total Environment, 630. Garbett R, Herremans M, Maude G, Reading R, & Amar, A. (2018). Raptor population trends in northern Botswana: A re-survey of road transects after 20 years. Biological Conservation, 224. Maude G, Reading P. R & Harris S. (2018). Fluctuating food resources and home ranges in brown hyaenas living in a semi‐arid environment. Journal of Zoology, 12618. Selebatso M, Maude G & Finn R. (2018). Adaptive foraging of sympatric ungulates in the Central Kalahari Game Reserve, Botswana. African Journal of Wildlife Research. 23005.